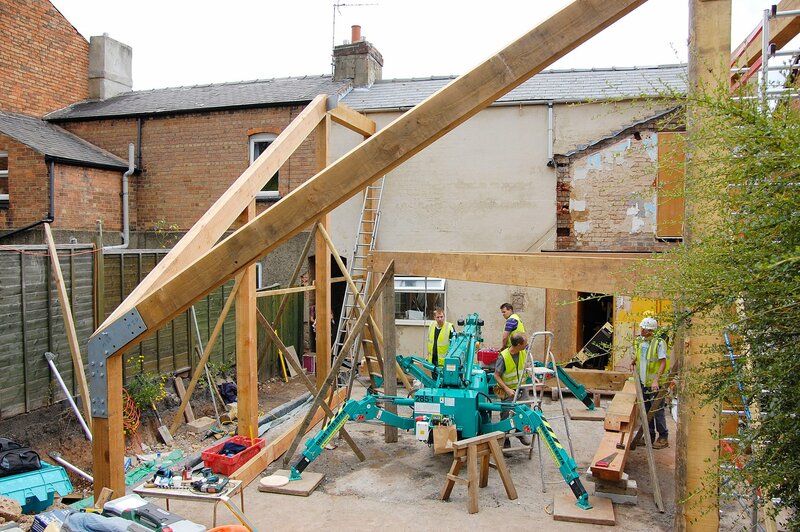 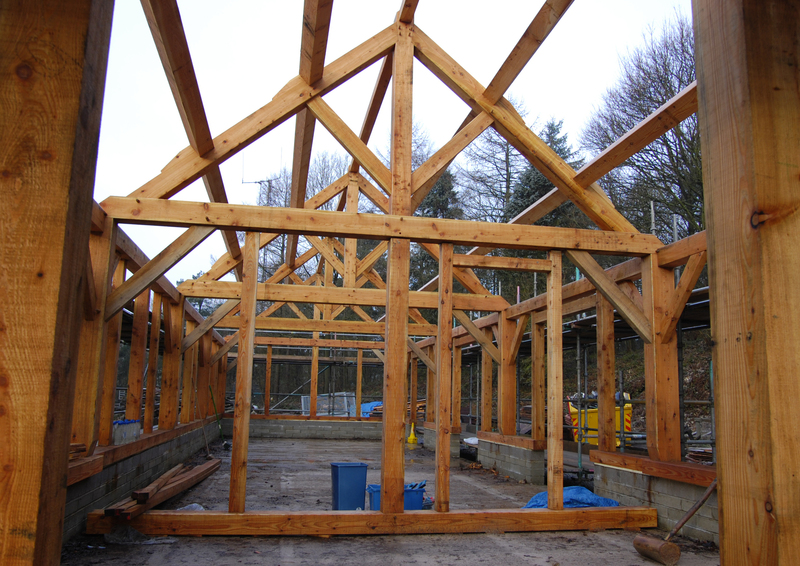 Larch timber framed workshop and conference room built for Seven Trent Water. 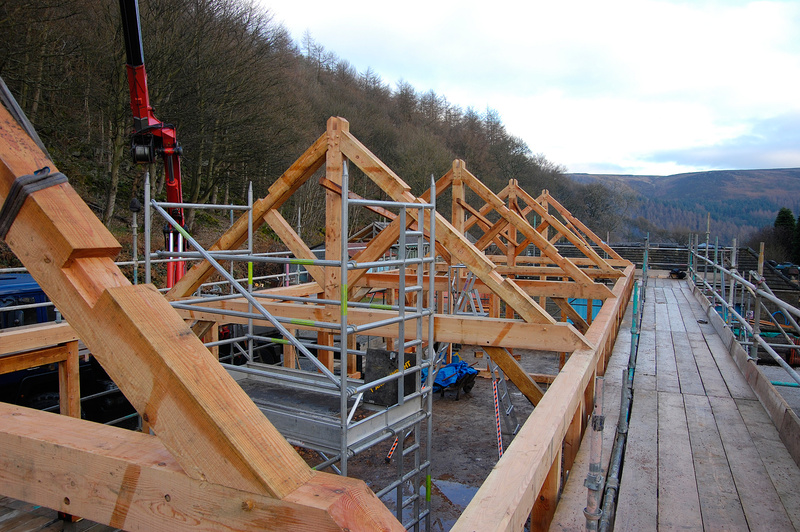 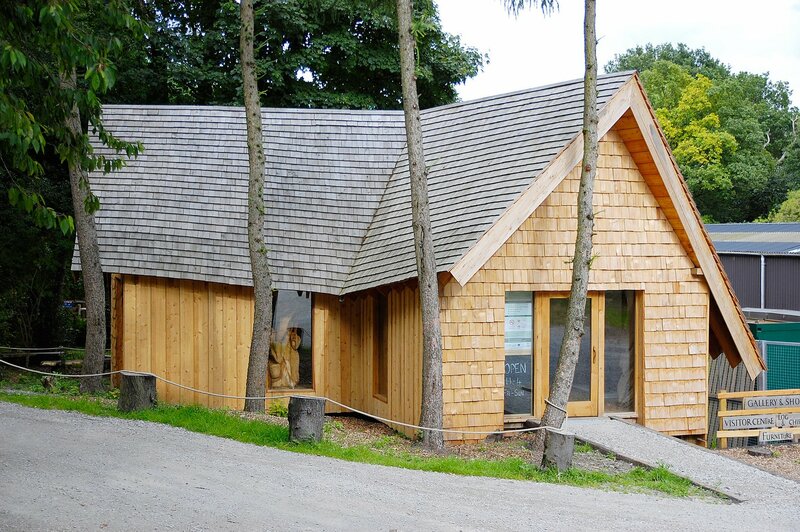 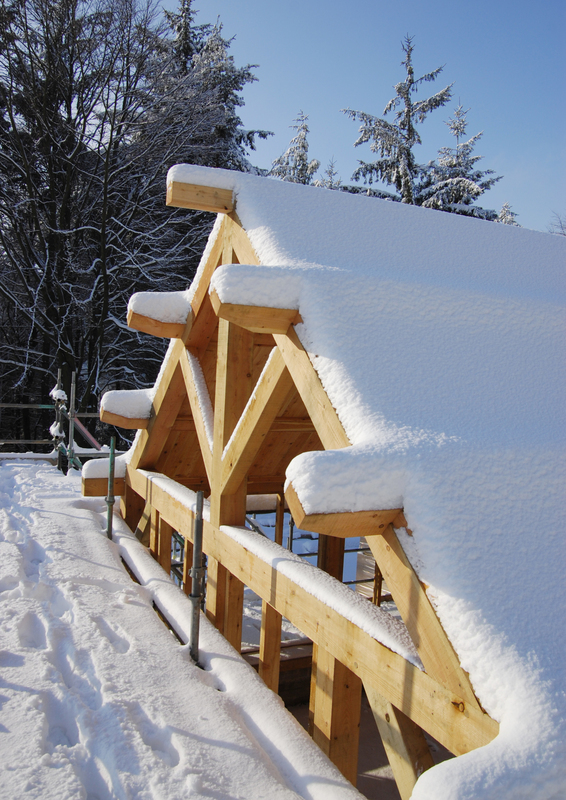 Working with a local forester larch, trees were extracted from around the local area of Ladybower Reservoir and milled on site, providing all the timber required for this building including the 7000 hand cut cedar shingles! 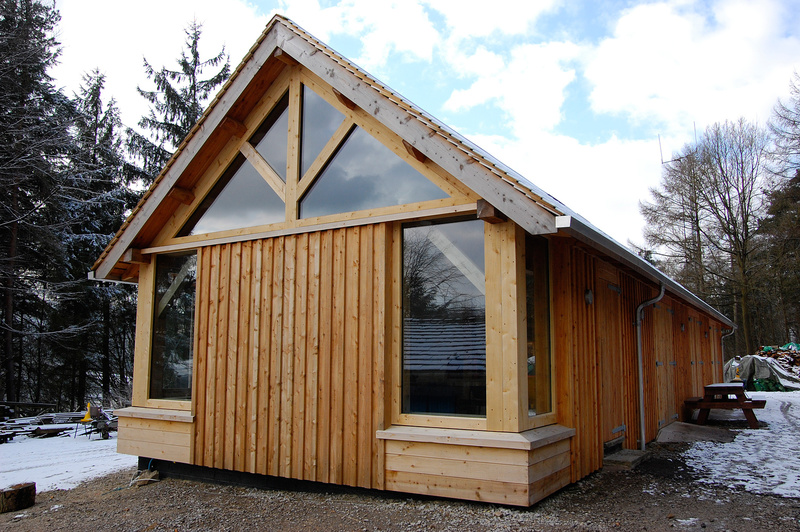 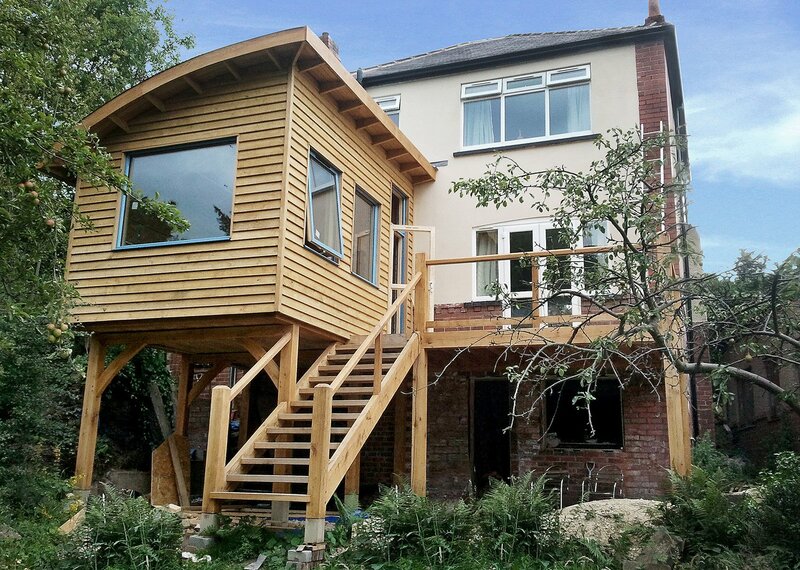 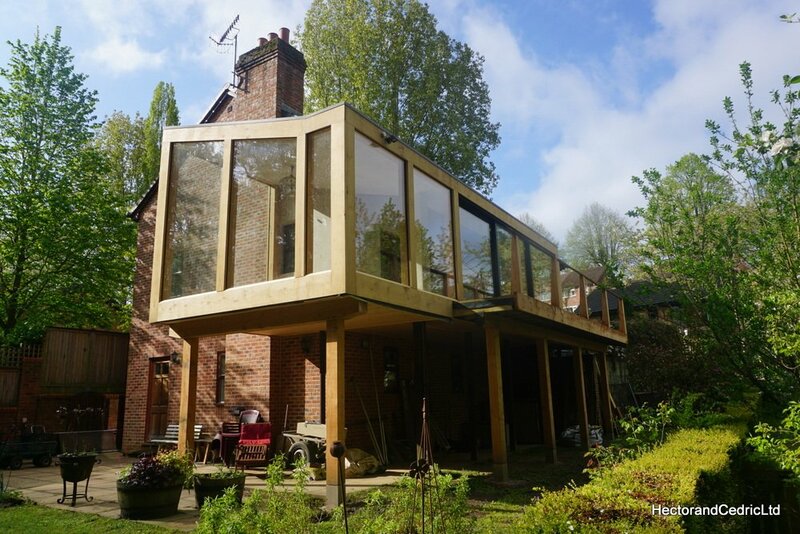 Fitted with its wood burners it’s a super warm highly sustainable timber framed eco building with its use of local timber, recycled wood fibre board and hemp/cotton insulation.